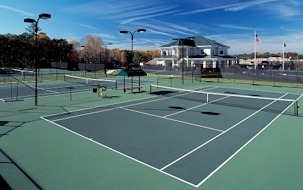 I rarely remember any nice, well equipped public tennis facilities while growing up in the Columbia area. Facilities may be stretching the meaning unless you call courts, fencing and lighting a facility. In fact, after traveling many years and living in several cities as an adult, I don't believe I've experienced what is taking place here in Lexington County, South Carolina. I've been a member of several clubs and played on an all-club league, but that's not for everyone and even when so, you still like to know there are some good public courts around for you and your friends from different areas to meet and for non-club members to play and form teams. 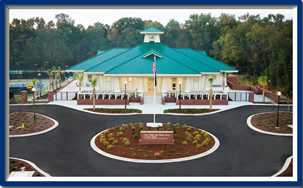 Well, you have it right here in Lexington County and with the addition of the Cayce Tennis and Fitness Center, things are looking even better. Again, thanks to the efforts of Director of Operations, Jorge Andrew, and his staffs, Lexington is once again honored to host a USTA Sectional Tournament. Columbia's The State newspaper recently published an article (by Joey Holleman) about the current sectionals being played in Lexington, including some comments from players traveling to the event.